Show me one child who wouldn’t love to do this art project! Not only is it cute, but it’s edible! If your child is having a Halloween party at school, this would be a great favor to bring for his or her classmates. If you don’t want to use foam for the pumpkin, you can always substitute card stock or construction paper. I found a great pumpkin template that has six to a page at Auntie Anne’s Crafts. This will be handy, if you do decide to make these as a class favor. 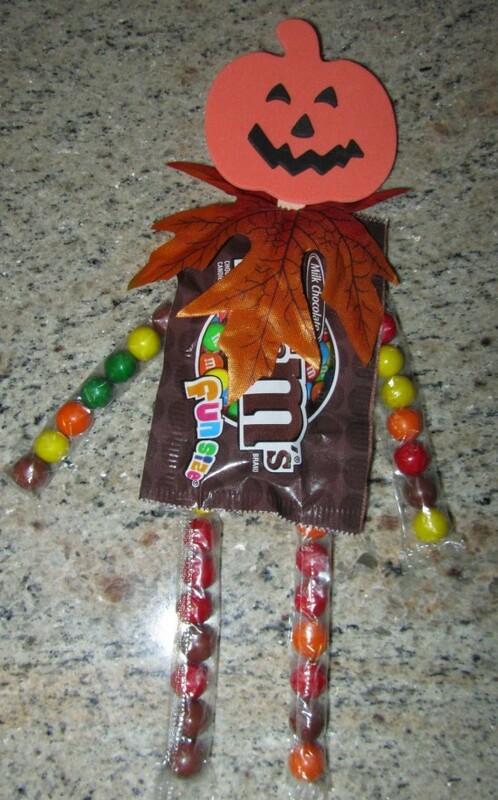 For a list of supplies and the directions on how to make this cute, candy craft, visit Stuff Your Mom Didn’t Make.